Baits are very easy to use and very effective. Simply buy some ant baits at your local hardware store, and place them around the Black ant colony. The baits will attract the Black ants to the bait station. When the ants take the bait back to the colony it will kill the whole colony. Make sure to place the baits out of reach of pets and children. Black ants will die very fast with a spray. There are many different types of spray you can buy. One is concentrated; were you take it and mix it yourself. Just add water. The other is in an aerosol can. Read the label and make sure the spray has Black ants under what it will kill. To use the spray, find where the ants are coming from. Spray the colony down with the pesticide. Spray around the whole area; the cracks, crevices, around the footing of the home, under sinks, and bathroom areas. Black ant poison will come in a small tube. It will be a gel or powder form. You can place the poison in cracks and voids. This will kill the Black ants on contact, as they try to enter your home. Sprinkle some cornstarch around your home and property. Black ants love to eat the stuff, and will suffocate after ingesting it. After this, all you have to do is vacuum the ants up, and throw the bag away. If you have plants that are potted and infested with Black ants, take the plants outside and flood the whole plant. This will push the ants out and also drown the Black ants. If you have a colony outside, you can do the same thing. Place the hose in the colony hole and let it fell up with water. It will drown the Black ants. The most effective way to kill Black ants is to call a pro. 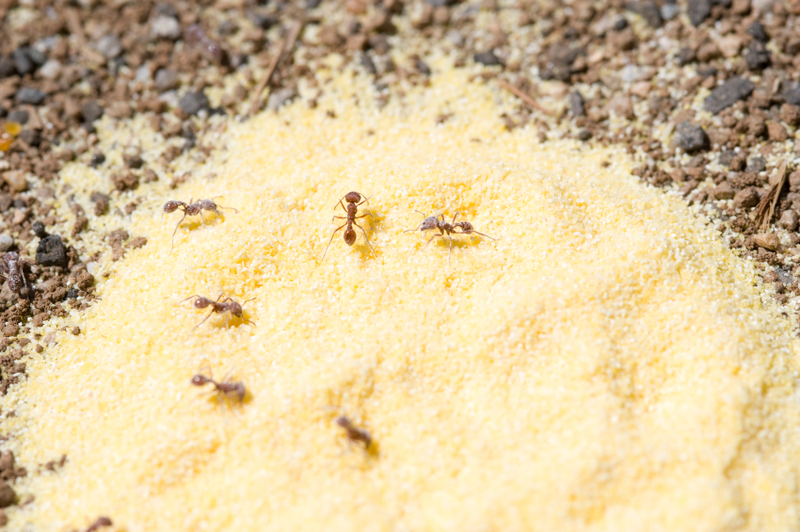 An ant exterminator will have all the right training, baits and sprays to kill all of the Black ants that are infesting your property and home.